Save 30% on Elf on a Shelf! Barnes and Noble has a printable coupon here to save 30% on the Elf on a Shelf! Deals on this little guy are hard to come by, so this is a great offer! It is valid in store only and expires on 12/6/10. We got our Elf on a Shelf two years ago. If you’re not familiar with Elf on a Shelf, he’s an elf that comes from the North Pole during the holiday season to watch over your family. He reports back to Santa each night and returns in a different place in the house the next morning. It comes with a cute book that explains the whole story. Sometimes he does some silly things along the way! My daughter started asking before Halloween if and when our Elf was going to come back. It’s a really fun tradition. Save up to 50% off and get 10% cash back at Barnes and Noble! Save up to 50% off at Barnes and Noble during their online sale! Plus, you’ll get 10% cash back from Shop at Home right now! To access this special offer, you need to click on the “Black Friday” bag on the main page here. Get an additional 30% off one item when you enter the code P4A4N7P at check-out. Plus, you’ll get free shipping on orders of $25 or more. Fourth of July shopping round-up! If you are planning on doing a little some shopping this weekend, there are plenty of great in store and online deals! Don’t forget to check out my “Freebie Friday” post to see what meal deals you can get for free, too, while you’re out shopping! Aeropostale ~ Take an additional 30% off items from the clearance section when you enter the code CLEAR at check-out. Take advantage of their $5 tee and tank sale in stores and online and save $10 off your in store purchase of $50 or more with a printable coupon. You can also get 5% cash back when you shop through Shop at Home. Barnes & Noble ~ Save big on clearance items plus take an additional 20% off your highest priced item online. Carter’s ~ Save $10 off a purchase of $50 or more online when you enter the code KP4HZNNE at check-out (valid through 7/7). Print this coupon to save 20% off your purchase of $40 or more (valid through 7/7). Gap ~ Get an additional 25% off your entire purchase plus free shipping (free shipping applies to purchase of $100 or more) when you enter the code GAPJULY4 at check-out (expires 7/5). Get an additional 4% cash back when you shop through Shop at Home. Gymboree ~ Save up to 70% off original prices during the semi-annual sale. All uniforms are 20% off. Earn a $25 Gymbuck for every $50 you spend. Special Offers: lunchboxes – $10, polos for boys – $12, tees for girls – $15, backpacks – $20, shorts for boys – $18, skirts for girls – $20. Shipping is a flat rate of $5. JC Penney ~ Save 15% off your total online purchase when you enter the code PCSUMRJC at check-out. Get free shipping with a purchase of $49 or more when you enter the code HOTFS49 at check-out (codes cannot be combined. Get an additional 3% cash back when you shop through Ebates or Shop at Home. Print this coupon to save $10 off your purchase of $50 or more in store (valid through 7/10). Kohls ~ Save an extra 20% off all online purchases when you use the code TOPSECRET at check-out (valid through 7/3). Get 4% cash back when you shop through Shop at Home. There is a 15% off your entire purchase printable coupon (expires 7/5) and you can earn $10 in Kohl’s cash for every $50 you spend in store or online. Old Navy ~ Get $1 flip flops for the whole family on Saturday, July 3rd with this printable coupon. Shop the Star Spangled sale and get tees and tanks for $5, swim wear for the family for $10, and adult shorts for $15. Payless ~ Flip flops are BOGO free plus you can save an additional 20% off your total purchase and get your items shipped to the store for free! The Children’s Place ~ Shop the “Monster Sale” right now where you can save up to 50% off select styles. Plus, you can take an additional 20% off orders of $50 or more when you enter the code JULY4th at check-out or save 10% off your total purchase when you enter the code D2AV9HYA4A (expires 7/3). Plus, you can get an additional 5% cash back when you shop through Shop at Home. Shipping is a flat rate of $5 per order. Van Heusen ~ Save up to 60% off lowest ticketed prices PLUS get an additional 15% off your total purchase with this printable coupon. Hot deal on clearance items at Barnes & Noble! I love to read and so do my kids, so I was excited when I read about this deal earlier today on one of the message boards I frequent. Barnes & Noble is having a HUGE sale on clearance items. There are many great kids’ books which start at just $1.78. Plus, you can get 20% off your highest priced item when you enter the codeW9C9U3F at check-out. Shipping is free when you spend at least $25. Check out all of the clearance items here (there are 10,642 items, but you can sort by areas of interest to narrow things a bit!) Don’t forget to shop through Shop at Home to get 5% cash back! I have always loved reading and I love reading with my kids, too, so I am excited about all of the great book deals right now. 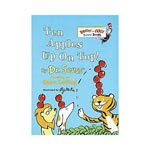 Walmart.com has a number of Dr. Seuss children’s books on sale for $2.65. This includes popular titles such as Ten Apples Up on Top, There’s a Wocket in My Pocket, The Foot Book, Hop on Pop, and Mr. Brown Can Moo! Can You? There are also books with a read-along CD for just $5.50! This includes titles such as One Fish, Two Fish, Red Fish, Blue Fish, Fox in Socks, and The Cat in the Hat. These books have free shipping, too! I got a few books for my kids’ Easter baskets. Don’t forget to shop through Ebates to get 1% cash back! Barnesandnoble.com has 100 former bestsellers priced at just $3.99 each! You get free shipping when you spend $25 or more. Get an additional 8% cash back when you shop through Ebates.